Macaroon welcomes corporate orders and will work with you to personalise our Macaroon products for your clients' or colleagues' gifting. Our personalised products are a fresh, unique, welcomed change from the ordinary, boring corporate gifting - and most importantly, they are PERSONALISED in your clients' names. Macaroon's template-based tags and stickers also allow you to upload your corporate logo to complete your corporate branding, gifting and functions. Send an email to [email protected] to receive a quote on larger corporate orders of our beautiful bespoke Macaroon products. Our personalised products are must-haves for year-end corporate gifts, corporate functions, Secretary's Day, Boss's Day, incentive trips, corporate team building, School functions, Club gatherings and more. 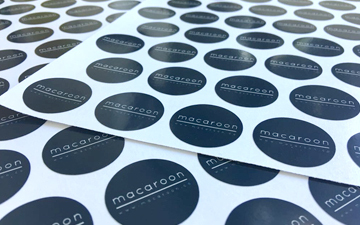 Macaroon offers a wide range of template-based stickers for your corporate gifting, functions or branding requirements. Our durable, vinyl, template-based stickers are available in round, square or rectangular shapes. You simply upload your corporate logo online. These stickers are also perfect for Schools, Clubs and any functions where you want to pop a logo on to a vinyl sticker. Macaroon's high quality corporate tags allow you to upload your logo and message online. Perfect for corporate gifting, your personalised corporate tags will tastefully complete client gifts and can also be used at corporate functions and are popular on table settings. 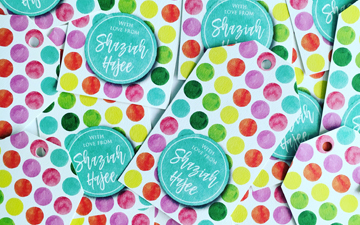 When personalised FOR your clients, a set of personalised tags also make a beautiful and unique gift. Macaroon's top-selling personalised journals and notepads are the most unique, useful and personalised present you can treat your clients to. Simply pick your favourite design online and email [email protected] - for orders of 20 repeat units and over, the per unit price drops and we replace Macaroon's logo on the back cover with your corporate logo. All we need from you is your design choice, logo and an excel spreadsheet of your clients' names. 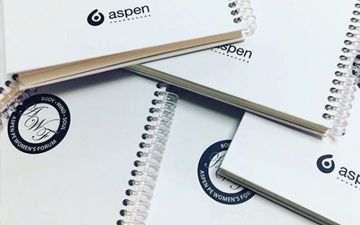 We will personalise every individual notebook on the cover and on every inner page in the name of your clients - the perfect personalised present. Macaroon's personalised tote bags, drawbags and utility bags make useful and unique gifts for your clients. Simply pick your bag design online and send your client names to [email protected] - the per unit price drops on orders of 20 repeat units and more. 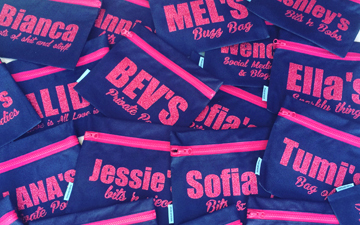 Our bags are perfect for corporate functions, year-end gifts, incentive trips and more - personalise them for passports, cables & chargers or simply in your clients' names.